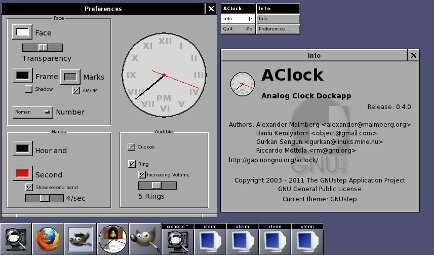 AClock is an analog clock with display of smooth seconds. It stays in your dock. 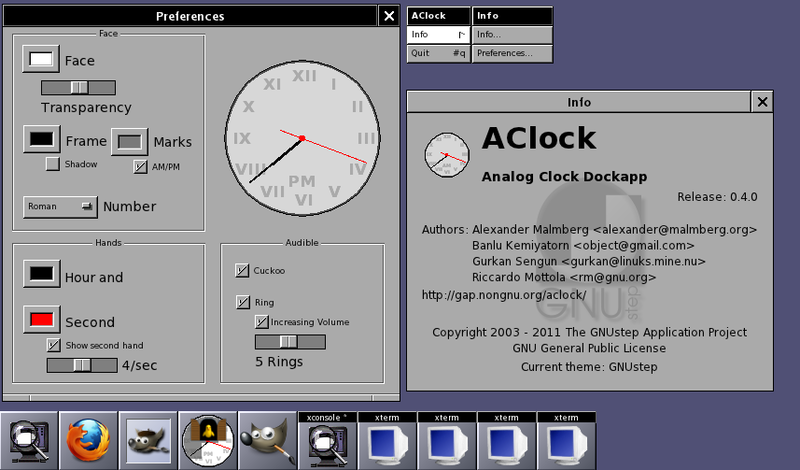 This is the first GAP release of AClock. Only containing minimal changes to the original. One notable change is the use of the NSSound class instead of relying on an external program to play the sound.